Bruce Catton is one of my personal favorite authors, his having crafted a beautifully flowing within his many historical writings, mostly on the Civil War. He won both the Pulitzer Prize and the National Book Award for these. This book, however, is about growing up in his (as well as my) hometown of Benzonia, Michigan, around the turn of the century. It is both a memoir of his own life, filled with many fun and interesting stories of life in the pioneer days, and the story of Northern Michigan itself, with all its ambitions and failures. Bruce Catton, whose name is identified with Civil War history, grew up in Benzonia, Michigan, probably the only town within two hundred miles, he says, not founded to cash in on the lumber boom. In this memoir, Catton remembers his youth, his family, his home town, and his coming of age. 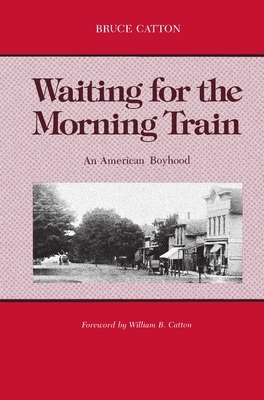 With nostalgia, warmth, and humor, Catton recalls it all with a wealth of detail: the logging industry and its tremendous effect on the face of the state, the veterans of the Grand Army of the Republic who first sparked his interest in the Civil War, the overnight train trips on long-gone "sleepers," the days of great resort hotels, and fishing in once clear lakes. Although he writes of a time and place that are no more, his observations have implications that both underline the past and touch the future. Bruce Catton is known for such classics as A Stillness at Appomattox, This Hallowed Ground, and Mr. Lincoln's Army.